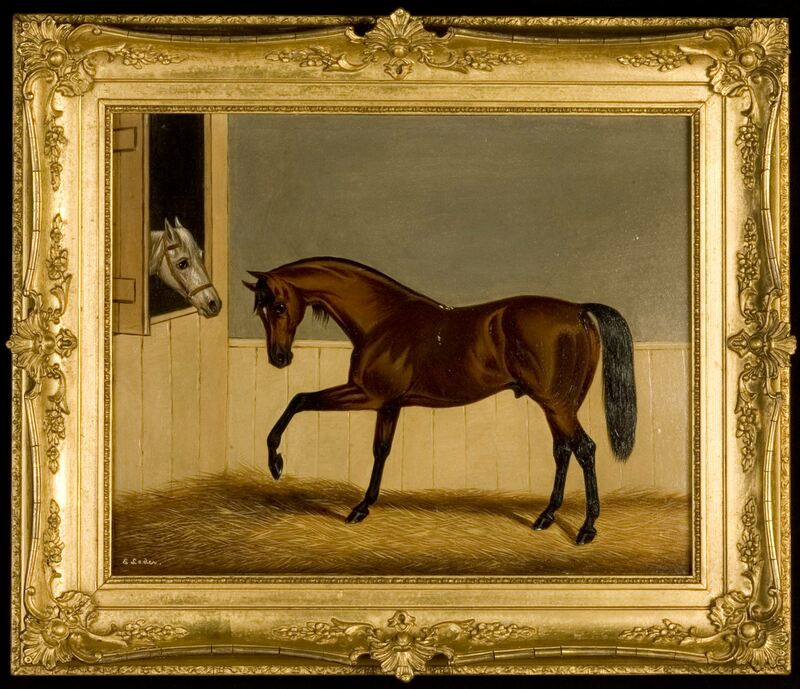 Edwin Loder of Bath (1827-1885) Two horses at a loose box, painted oil on millboard, signed by scratching in to the wet paint (l.l) E. Loder. English circa 1870, within a period gilt gesso frame. Son of James Loder, Edwin inlisted in the 62nd Regiment of Foot in 1846 serving mostly in India until being discharged in 1866 as 'unfit for further service'. He was made an out-pensioner at The Royal Chelsea Hospital and then returned to Bath and set up studio in Widcombe.